Commercial Hotel One of the best looking hotels in Hay. 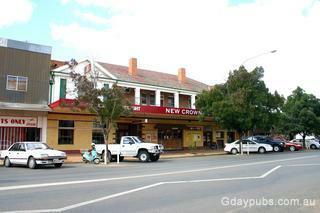 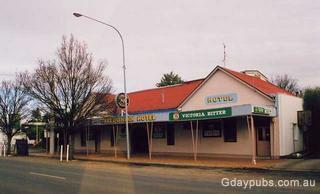 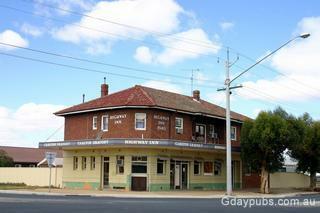 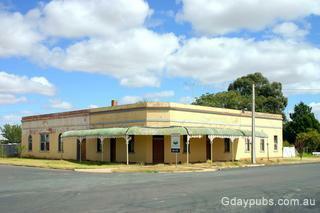 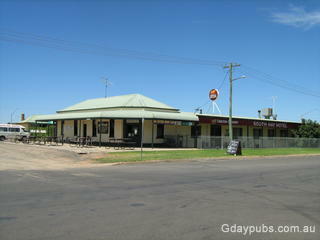 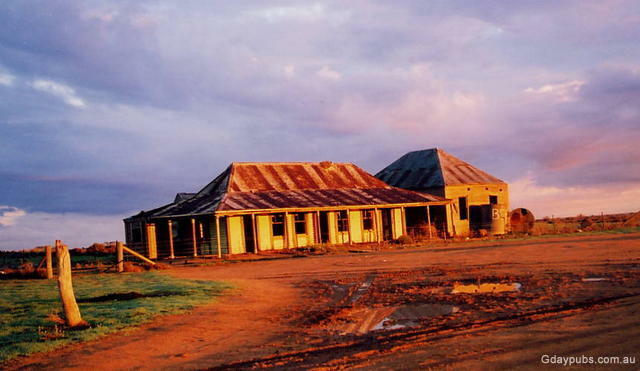 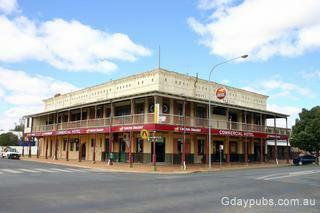 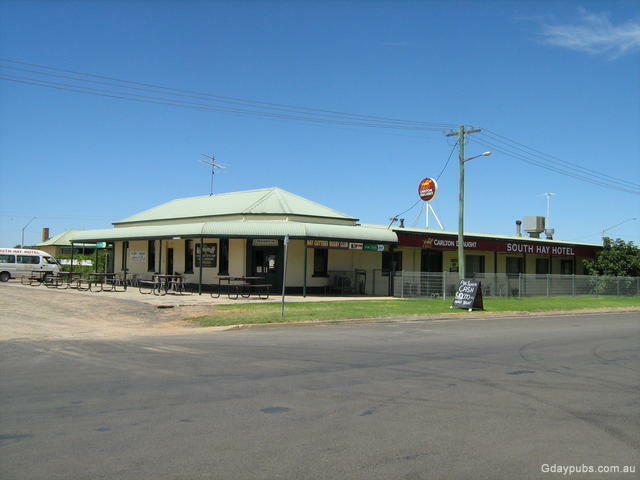 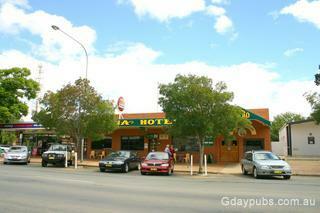 South Hay Hotel A nice, snug pub near the Sturt Highway and the Shearers Hall Of Fame. 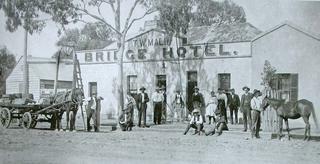 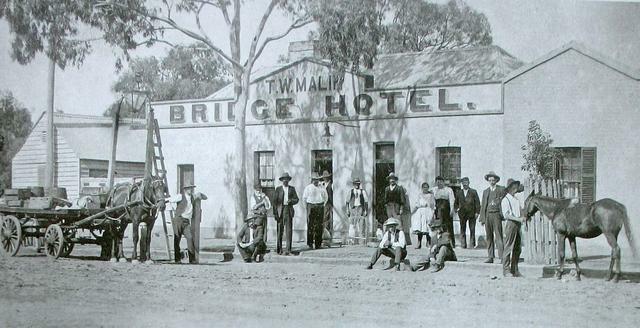 Former Bridge Hotel The hotel was established in 1869 as a Temperance Hotel, obtained a licence in 1870 and closed as an hotel in 1921. 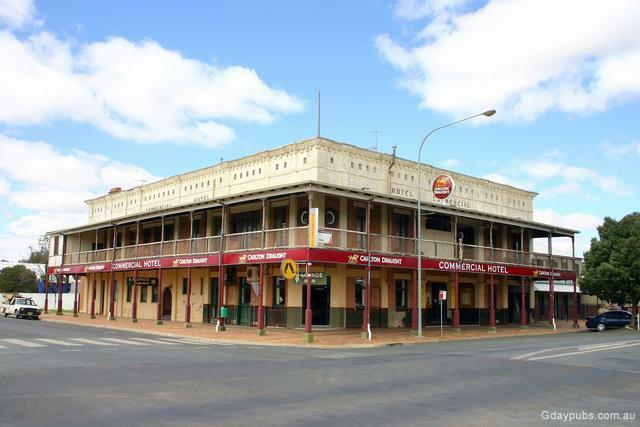 Former Terminus Hotel Situated opposite the railway station, the Terminus Hotel was established in 1880 and closed in 1940 with the licence being transferred to the Highway Inn Hotel.